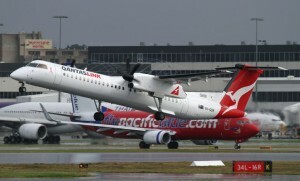 QantasLink will transfer its operations to Terminal 3 – the main Qantas domestic terminal – in Sydney during the second half of 2013. The change will greatly improve flight connections and amenity for passengers. A new dedicated lounge for QantasLInk passengers is being constructed at gate 1 in Terminal 3, with work having already commenced. QantasLink executive manager John Gissing said operating QantasLink and Qantas Domestic flights from the same terminal was set to deliver big benefits to business and leisure travellers flying to or from Sydney and beyond. 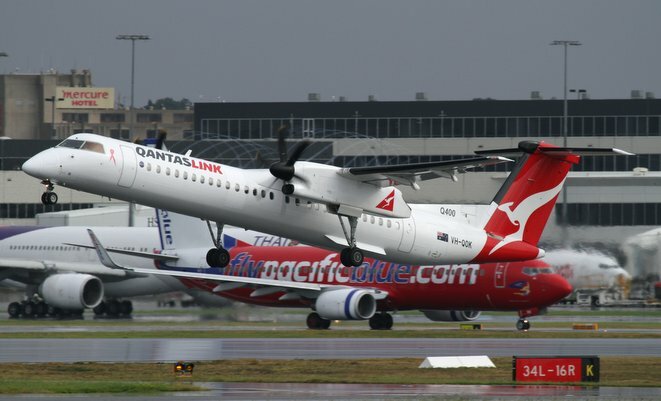 “With QantasLink in Terminal 3, customers can expect smoother connections between regional, domestic and international services,” said Gissing. Gissing said the new ‘Smarter Check-in’ services in Terminal 3 would significantly reduce check-in times for QantasLink, as well as offering regional passengers access to the Qantas Club and Domestic Business Lounge. Apart form Canberra flights, QantasLink services currently operate from Sydney’s Terminal 2, which is shared with Jetstar, Virgin Australia and Regional Express.